The Maxim 500w blender is a true workhorse of the kitchen. 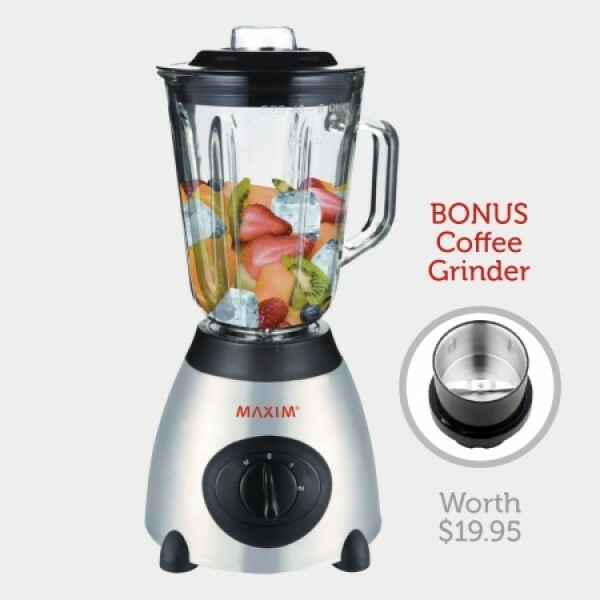 Unlike some other blenders, this unit features a powerful 500w motor designed to blend hard foods with ease. 1.5 litre glass blending jug. Ice crushing strength with ease. 2 speeds plus pulse functions. Bonus coffee grinder attachment included!